Easy to own and operate while remaining incredibly affordable, the K-16 is a legendary Sundance model. Measuring 15'-9" feet, the K-16 is ready skinny water but also more than capable of inshore coastal fishing and lake runs. Our classic hull has satisfied thousands and thousands of owners over our history and run well with a smaller, more fuel efficient outboard in the 40 to 50 horsepower range. 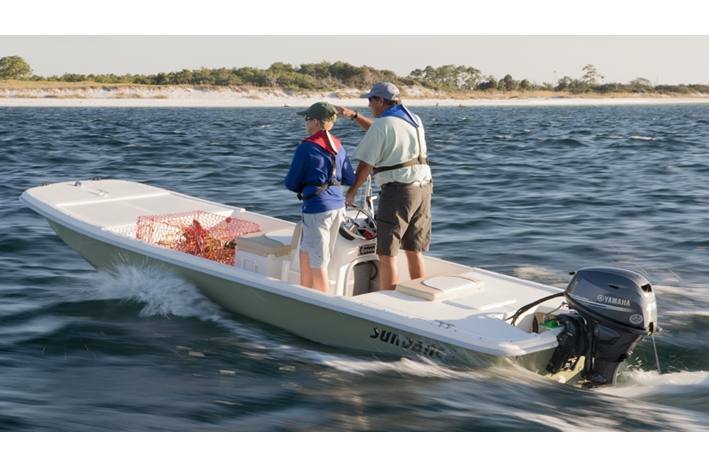 Also lightweight at just 680 pounds and fuel efficient, the K-16 can easily fill multiple roles as a fisher or small work vessel. Fuel Capacity (Approx): 10 gal. Max. Person Capacity: 596 lb. Max. Total Capacity: 1,086 lb. Model Dry Weight: 680 lb.